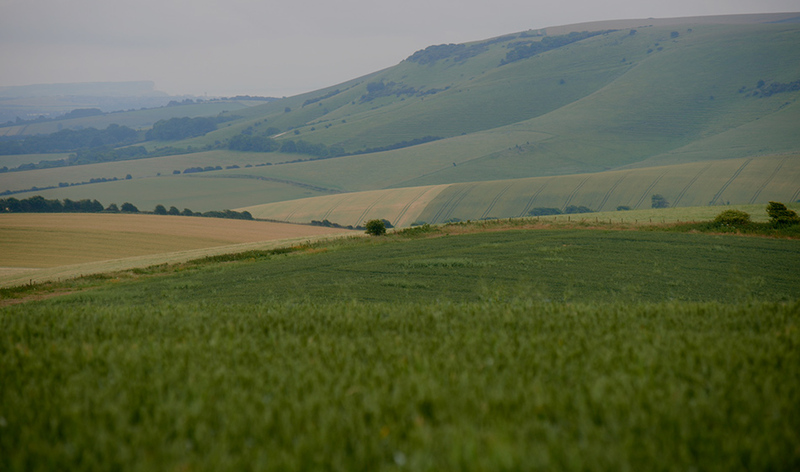 We are blessed, in our beautiful part of the UK, with an abundance of wild game, especially venison. If you’re new to eating game, or not sure about what to choose or how to cook it, do come and talk to John – he’ll be delighted to help. Being an experienced and qualified butcher and stalker, John provides a unique link in championing this wonderful food source. He is hugely passionate about protecting the wild herds he is fortunate enough to manage. 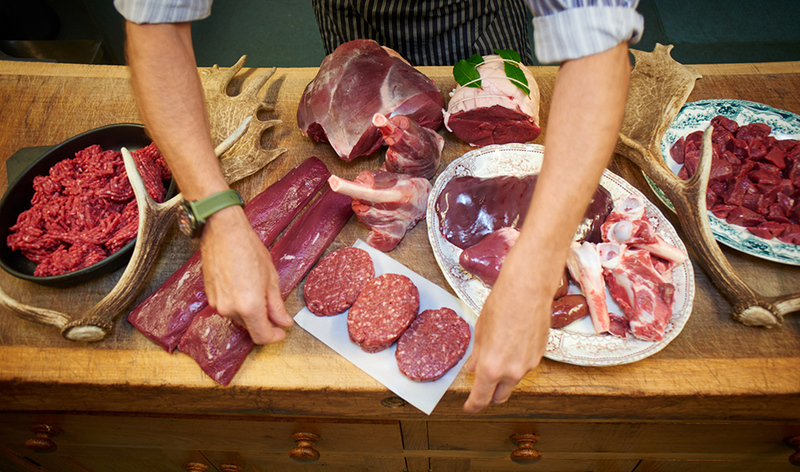 Natural, wild venison is abundant in the fields and forests around us and John personally selects all animals for his customers ensuring absolute confidence in the full provenance of every animal from forest to fork. Many people think of venison as an autumn meat, but in fact, it’s available year-round. 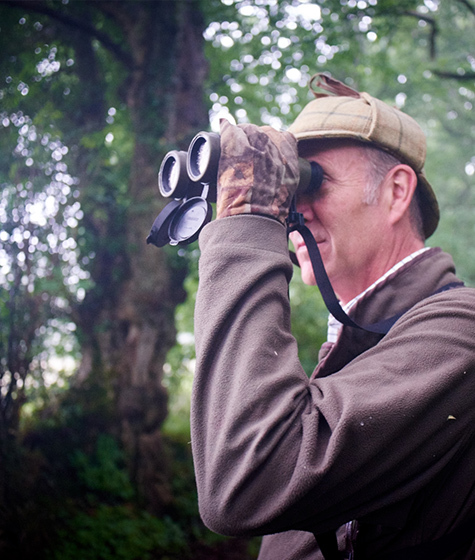 We adhere to carefully controlled shooting guidelines to ensure protection and the best population of the herd. 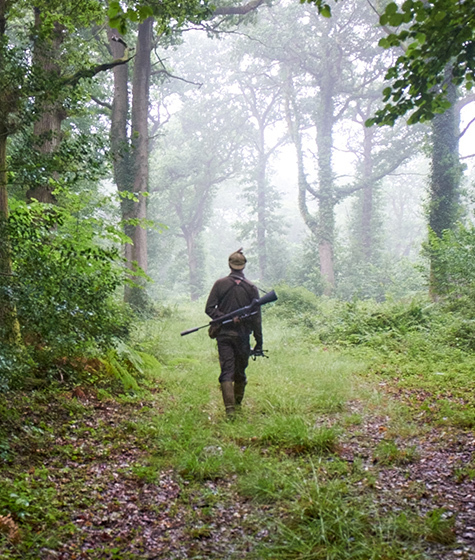 Having fallow deer, roe and even muntjac available to us ensures a supply for all seasons. If you’ve tried other venison before and found it a little strong or ‘off’ tasting, the chances are it’s been poorly prepared. Venison is very lean, and this lack of fat makes the meat highly susceptible to temperature variations which can quickly taint it if it’s not handled properly. 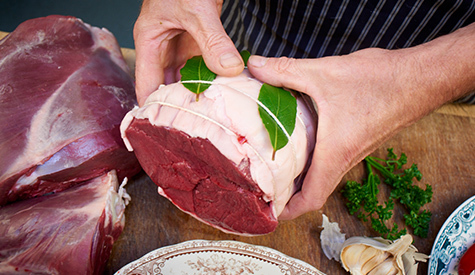 From field to butchery, we are completely in control and our venison can be transferred from where it was sourced, dressed and in our cold store within an hour. Venison is such a versatile meat. If you’re unsure about the best cut to choose or the best way to cook it, John will be delighted to advise. 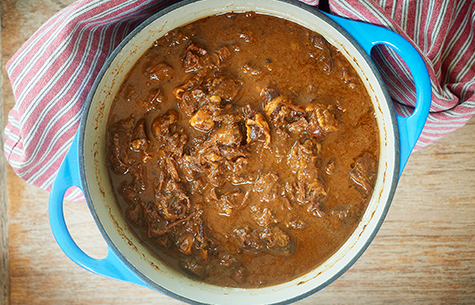 Perhaps a shoulder to slow cook, or a haunch as a roasting joint; or loin fillets to pan fry or make a splendid Wellington; diced leg for a delicious venison casserole, mince to make your own burgers, or even steaks for the barbecue in summer. We also make our own wonderfully full-of-flavour venison sausages, which are always popular — great in a cassoulet-type stew, or fantastic grilled or barbecued. 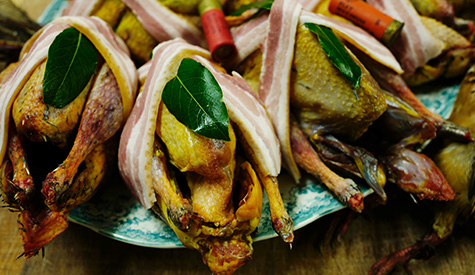 We almost always have local wild rabbit available, and in season we will stock pheasant, wild duck, pigeon, partridge, grouse and hare, all sourced from quality local estates. We’re proud to offer this traditional, healthy bounty of our native countryside and always enthusiastic to help you choose and get the most out of them.